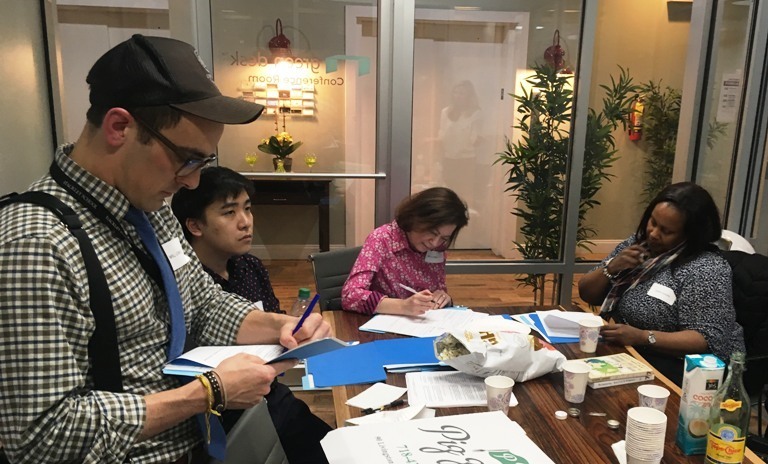 Summer program leaders Zoia Choudhry and Ledwin Rodriguez at WWB Campus literacy workshop at the Partnership for Afterschool Education, March 22. 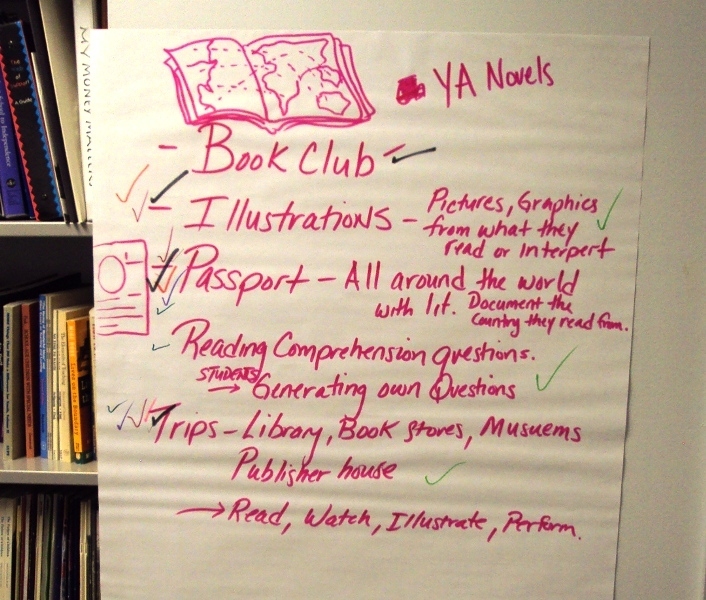 What are the best ways introduce global literature to students? What is the difference between literature about a culture and literature that is actually from that culture? What can we learn from voices within the cultures? 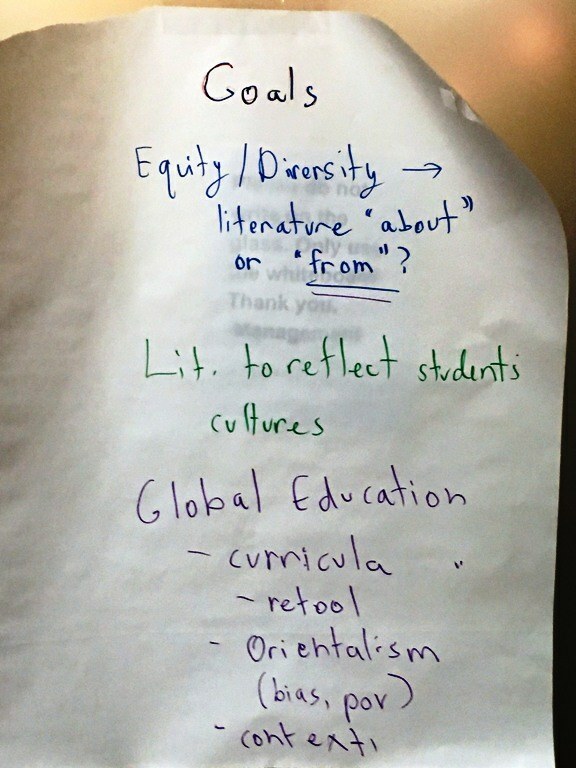 How can global literature affirm the cultures of immigrant students? . . . support student travel and exchange programs? . . . help create equitable schools and programs? The first event, on March 14, featured noted Japanese translator Allison Markin Powell, who spoke about the impact of global literature on her life and work; the second event, on March 22, was part of the Literacy Series at the Partnership for Afterschool Education, and focused on global literature as a way to enrich summer reading programs. 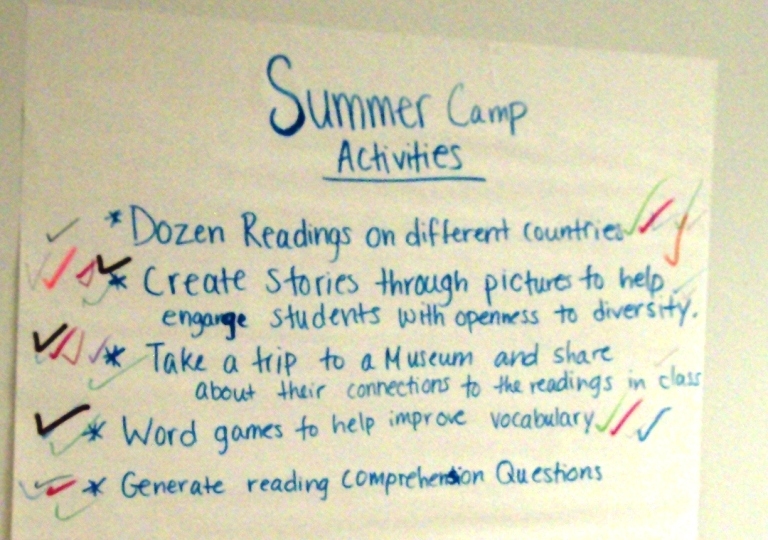 Below, you'll find photos from the events, including educators' posters of useful strategies. 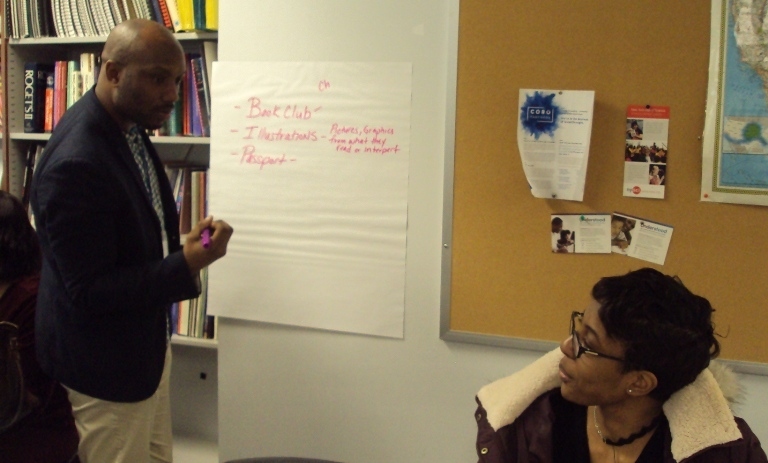 Afterschool leaders Jewel Berton and Melvin Loftin collaborate at PASE-WWB Campus workshop. Posters listing PASE workshop participants' ideas for bringing global literature to youth. Wil Lobko, Leighton Suen, Amy Lloyd, and Sonia Adams discuss goals for global literature at WWB Campus educators' workshop, March 14. Poster summarizing goals of participants in March 14 WWB Campus workshop. If you'd like to to hear about future events, please sign up for our mailing list! Also, please consider attending a free conference on teaching about translation at New York City's Hunter College, April 6 & 7. Several WWB translators will be featured, including Julia Trubikhina, author of the introduction to our collection of Russian literature.